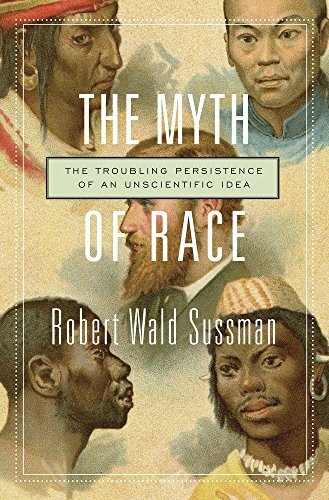 In “The Myth of Race,” Robert Wald Sussman traces the history of racist philosophy through America. This was a very troubling and challenging book. Racism is hard to eradicate. Scientific evidence shows there is no biological difference between humans that divides them in any meaningful category. Race is simply a social construct. There is every bit as much biological difference between two “white” people or two “black” people as there is between any given “white” or “black” person. Biologically speaking, there is only one race: human. You cannot read the news without seeing the current manifestations of racism continuing. The Supreme Court just heard arguments on the Muslim ban. Nazis held a rally in Georgia, complete with burning swastikas. Last year a white supremacist rally led to the death of a counterprotestor: the president famously commented after her death that there were good people “on both sides.” Racism is far from dead, even though scientifically speaking the idea of “race” is dead. That has not stopped people from using the imprimatur of science to advance policies that treat people differently based upon their skin color, national origin, religious affiliation, etc. In America the obvious example is slavery. For centuries, people were enslaved because their skin color was darker. This was justified in a variety of ways, usually by asserting that “white” people were superior to “black” people. Racist ideology was not satisfied with that broad of a brush, though, and went on to distinguish between types of white people. “Nordic” or “Aryan” people were (by their standards) the best. Physically the strongest and healthiest, mentally the smartest, and morally the purest, these people were born to rule and lead, and other races (including other white races) were lucky to serve them. If that sounds like Nazi ideology to you, you’re right. Sadly, it was also the ideology of many in the United States. Prior to Darwin, those who held this position justified it biblically in one of two ways. The Bible says that humans come from Adam and Eve. Pre-Darwinian racists justified their racism by asserting either a) non-whites had degenerated to some subhuman status by their rebellion against God after creation, or b) non-whites were descended from some subhuman created being that the Bible does not describe. Either way, the conclusion went, they were not fully human and therefore not deserving of treatment as such. Post Darwin, racists felt less compelled to justify their opinions against a Bible which does not support their conclusions, but they continued to conclude that people who did not look like them were inferior or even subhuman. Darwinism inspired a new strategy, though: eugenics. If nature’s goal was survival of the fittest, then government should work to assure that the best (white) only bred with the best. Not only should good families be rewarded, but bad (non-white) families should be discouraged from procreating. Laws preventing immigration from non-European countries were passed. Required sterilization of unworthies was advocated (though seldom carried out). Discussions about forced repatriation to Africa of black Americans were held at the highest levels of government. These were not marginal views held by radicals. US Presidents Woodrow Wilson and Theodore Roosevelt were part of the eugenics movement. Industrialists like Rockefeller and J.P. Morgan were, too. Classes in eugenics were taught in most Ivy League schools, as well as Stanford and almost every university in the south. Major newspapers including the NY Times wrote articles praising eugenics and eugenicists. Since Jews were considered non-white, antiSemitism was rampant. Many US firms provided material support to Nazi Germany at least until the US entered the war (evidence shows some even provided support to both sides after the US began fighting). This was not just an act of profiteering: contemporary documents show a great deal of sympathy for the Nazi positions of sterilization and genocide of undesirables. Many white Americans saw Nazism as necessary to defend the “white race” against Jews, “Mediterraneans,” “Eastern Europeans,” and, of course, people of color from around the world. One of the few exceptions to this was in Columbia University, where Franz Boas became a professor of anthropology. He was one of the first to scientifically show that the basis for racism was unscientific and illogical. His work formed the foundation for modern anthropology. His students (one of whom was Margaret Mead) went on to shape the discussion of race and humanity for generations. Boas’ impact is still felt today, a full century later. One historian said, “It is possible that Boas did more to combat race prejudice than any other person in history.” After reading this book, I can believe it. The Myth of Race is a sobering look at racism in America. Sadly, it is not just a history of the idea. It is a myth that still shapes policy and attitudes today.